2011 was a year of growth for the Turkish Cultural Foundation (TCF), both in terms of the new programs that TCF undertook and the grants it awarded to numerous organizations and individuals that share the vision of TCF. In 2011, TCF allocated a total of $6,303,366 in grants and direct disbursements to pursue its mission. An exciting development in 2011 was the move of TCF to its prestigious new location in Washington, DC. The TCF office in the nation's capital joins the Boston and Istanbul offices with a growing team of professionals, interns and volunteers, who implement the mission and undertake the expanding international work of the Turkish Cultural Foundation. A new TCF initiative on Turkish culinary culture was brought to life in Istanbul in 2011: The TCF Culinary Arts Center (Yemek Sanatlari Merkezi - YESAM), housed at ARMAGGAN located in the historical neighborhood of Nuruosmaniye. YESAM joins the Natural Dyes Research and Development Laboratory-DATU, another cultural heritage project of TCF that was established in Istanbul in 2010. The TCF programs and grants that create people-to-people cultural exchanges also grew last year, facilitating cultural, artistic and educational connections between tens of thousands of people. Our various educational programs and public educational resources benefitted millions of individuals across the globe. In 2011, TCF continued to contribute to advancing scholarship in Turkish cultural and art history through its programs, particularly the TCF Fellowship in Turkish Culture and Art, which supports young and established scholars who conduct research on these topics. At the end of 2011, the research phase of a multi-year study on the influence of Turkish and Ottoman culture on Europe undertaken by Prof.Dr.Nurhan Atasoy, TCF Senior Scholar in Residence, and Dr.Lale Atasoy was completed. The research project, sponsored by TCF, culminated in the publication of a new book by the scholars. Impressions of Ottoman Culture in Europe: 1453-1699, which was published by ARMAGGAN Publications in February of 2012. We would like to thank everyone who participated in our work to enhance knowledge on the contributions of Turks and Turkey to humanity, on Turkish art and culture today, and to foster cultural, artistic and educational exchanges across the world. We hope that the Turkish Cultural Foundation makes a contribution to creating a better appreciation about our shared cultural heritage and, hence, to advancing peace and understanding. The following chart provides an overview on how TCF funds were allocated in 2011. 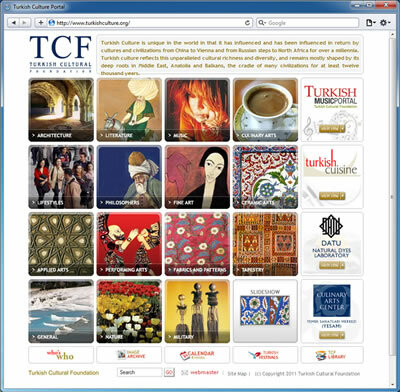 For a full listing of all Foundation grants please visit TCF website at www.turkishculturalfoundation.org. In May 2011, TCF and METU signed a protocol paving the way for the establishment of the Ayasli Research Center . Under the protocol, TCF began the building of the solar powered facility in 2011. It was completed and donated to METU Electrical Engineering Department in March 2012. The 3,400 m building is a pioneering example of energy sensitive buildings and will supply its own electricity through solar energy. It houses 19 research labs, 2 clean rooms, an anechoic chamber and an antenna tower, as well as seminar and meeting rooms and reading areas. METU is recognized as a premier institution of higher learning in Turkey. METU has a long-standing relationship with American universities and currently offers educational exchange programs with 48 American universities. It is also the alma mater of TCF founders, Drs.Yalcin and Serpil Ayasli. In its fourth year, the Turkish Cultural Foundation Fellowship in Culture and Art was awarded to 14 scholars. The program aims to provide support to students, researchers and scholars who conduct research and publish on the art and culture of Turkey, with a special emphasis on studies related to the preservation of Turkey's artistic and cultural heritage. Since the Fellowship program was established in 2008, a total of 20 post-doctorate and 32 Ph.D. dissertation fellowships have been awarded. "Thanks to the TCF Fellowship, I have received a major funding boost which will enable me to complete my project in a timely and effective manner. I am sincerely grateful for this opportunity and hope that my research will enable a better understanding of Ottoman and Turkish history for Turkish citizens and foreigners alike." "I am honored to have been awarded the TCF Fellowship. The grant has greatly enhanced my doctoral research, since it enabled me to acquire more sources, and thus, has vitally contributed to the completion of my thesis." "The importance of TCF fellowships lies in that they provide assistance to young scholars at a crucial point in their careers, allowing them to really concentrate on seeing their first major research project to completion. The TCF's support of internationally competitive work related to Ottoman and modern Turkish cultural history specifically will undoubtedly help increase the visibility of such research in the global context." TCF continued to support research and education on Turkish art and culture carried out in a multi-year research project by its Senior Scholar in Residence, Dr. Nurhan Atasoy. Under the patronage of the Turkish Cultural Foundation, Dr. Atasoy has continued in 2011 to conduct research toward the publication of her new book, Impressions of Ottoman Culture in Europe: 1453-1699. The research phase was completed at the end of the year and the book was published in Turkish and English by ARMAGGAN Publications in early 2012. The book explores the impressions of Ottoman material culture on Europe in the early modern age when the expansion of Ottoman territory created common borders and intensive political, diplomatic and trade ties with Europe. TCF awarded scholarships to three Turkish graduate students in Greek Ottoman history who are enrolled in the Ottoman Studies Program at the National Hellenic Research Foundation. The following students received this scholarhip in 2011: Gürer Karagedikli of Bilkent University, who is writing a doctoral thesis on Edirne in the 16th and 17th centuries; Filiz Yaşar of Hacettepe University, who is a scholar on Chios and Medieval Paleography and also specializes in Ottoman tax ledgers; Sehnaz Sismanoglu Simsek of Boğazici University, who is preparing a doctoral thesis on Karamanlidika literature. Related to this area of studies, TCF also provided a fellowship to Dr. Evangelia Balta, Director of the National Hellenic Research Foundation, to carry out a research project on the Ottoman Archival material on Karamanlidika literature and printing which will be used to update and republish the Karamanlica Bibliography. With TCF funding support, Dr. Balta published her book on Relics of the Ottoman Empire. 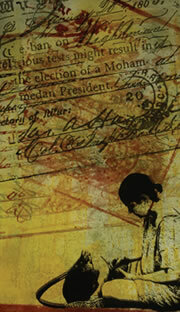 Another book related to her TCF funded research, titled Histories of Karamanlis and Karamanlidika Prints, will be published in April 2012. A second-year grant was awarded to Stanford University as part of a multi-year TCF commitment to underwrite a full-time Lecturer position in Turkish Language and Literature at the University. Offered by Burcu Karahan Richardson, also a recipient of the TCF Fellowship in Turkish Culture and Art in 2010, three Turkish language courses, three thematic courses on Turkish literature and two independent courses on advanced Turkish were presented under this program in 2010-2011. In 2010, TCF awarded a five-year grant to the Intensive Ottoman and Turkish Summer School (IOTSS) in Cunda, Turkey, administered by the Ottoman Studies Foundation. Co-sponsored by Harvard and Koç University, the school attracts students from all around the world and provides instruction in reading and translating Ottoman Turkish texts in both manuscript and printed form. The 15th Session of IOTSS was attended by 21 students from universities in the United States, Turkey, Germany, the United Kingdom and Norway. The second-year grant by TCF was allocated to tuition scholarships for two students: Natasha Asik, who studies at the School of Oriental and Asian Studies (SOAS) at the University of London, and Stefan Peychev of the University of Illinois. TCF funding also partly underwrote the expenses of the school's teaching staff. The 2011 session of the School was taught by Dr. Evangelia Balta, National Hellenic Research Foundation; Prof.Selim Kuru, University of Washington, Dr.Yorgos Dedes, SOAS, University of London; Domenico Ingenito, University of Oxford's Wadham College and the Oriental Institute; Gregory Key, University of Arizona; and Prof.Nurcan Abaci, Bursa University. Turkish Cultural Foundation is committed to supporting education in Turkish language and heritage for Turkish American children. In 2005, TCF established the Turkish American School Grant to support local Turkish American organizations who want to establish a community school. Since 2005, TCF has supported the establishment or expansion of 24 Turkish American community schools nationwide. In 2011, the Turkish American Association of Central Ohio received the TCF school grant. Turkish American community schools received additional support from TCF in the form of free Turkish and bilingual classroom resources. Among the publications offered by TCF, Anatolia Before You (Senden Once Anadolu), published by the Museum of Anatolian Civilizations in Ankara with support by TCF, a CD-version curriculum guide on Turkey, Turks and Turkey RENK prepared by Professor Justin McCarthy of Louisville University, with support from TCF, the TCF produced DVD of "Karagoz" Shadow Puppet Theater and a bilingual book and music series titled Musical Tales of the Worldby Sebnem Oral, were gifted to 11 Turkish American community schools. For the second year, TCF sponsored summer camps for elementary school educators who teach at regional boarding schools in Turkey. The camps were organized by ILKYAR, a Turkish NGO that provides programs and aid to these schools in rural areas of Turkey. The camps took place on June 27-July 4 on the campus of the Middle East Technical University in Ankara. The TCF grant allowed the Glass Furnace Foundation to offer a one-year paid apprenticeship for a young glass artist and supported the participation of seven Turkish students in the international summer glass workshops of the Foundation. "I would like to thank the Turkish Cultural Foundation for providing support to young craftsmen and giving us this educational experience at the Glass Furnace Foundation. Without your support, we would not have been able to receive this type of training that exceeds currently available standards in Turkey." "Thanks to your fellowship, I was able to attend a glass bead workshop at the Glass Furnace Foundation. I was able to improve my skills and learned more advanced techniques. I would like to thank your foundation for the support and contributions you made towards my education as a glass artist." Turkish Cultural Foundation continued to provide major grants in support of events promoting Turkish culture and art in the United States. The events ranged from Turkish culture, music and film festivals to exhibitions and theater that promote Turkish art, culture and music in the United States. TCF also supported cultural and artistic exchanges between Turkey and the United States by supporting institutions, as well as invididual artists to celebrate and share knowledge on culture. The TCF underwrote leading Turkish cultural festivals in the United States in 2011, namely in Boston, Charlotte, Chicago, Dallas, Ft. Lauderdale, Houston, Seattle and Washington, DC, organized by the respective Turkish American organizations in these cities. TCF also sponsored the 2nd Children's Friendship Festival in Seattle, organized by the Turkish Cultural Association of Washington. The festival featured performances by Turkish American children's groups, as well as groups representing other Seattle ethnic communities on the occasion of April 23rd Turkish National Sovereignty and Children's Day. TCF provided a major grant to House of Turkey, a non-profit organization, which brings Turkish culture to the famed Balboa Park, the largest urban cultural park in the United States, located in San Diego, California. The organization represents Turkey among 32 other countries which have given permission to present cultural public programs at Balboa Park. With TCF funding, House of Turkey organized year-around Turkish cultural events to highlight Turkish culture, cuisine and art to visitors of the Park, including a celebration on Turkey at the San Diego Museum of Man and representing Turkish cuisine at the Ethnic Food Fair in Spring 2011. Supported by a TCF grant, the American Turkish Association of North Carolina organized its 3rd Annual Nazim Hikmet Poetry Festival. The festival includes an International Poetry Competition, which received submissions from 134 poets from all over the world and featured Murat Nemet-Nejat, poet and one of the leading translators of modern Turkish poetry into English. For the 3rd year, TCF became a major sponsor of Istanbulive3: Sounds of Civilizations, a celebration of Turkish modern music organized as part of the SummerStage Concerts in Central Park, New York. Presented by Serdar Ilhan & Mehmet Dede Productions, Istanbulive3 was headlined by Zulfu Livaneli, renowned Turkish composer, musician, writer and film director. 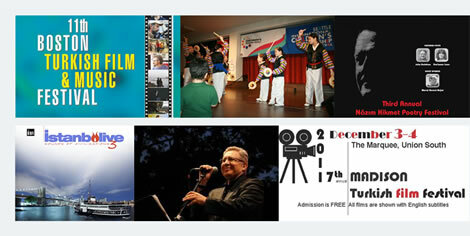 Promoting Turkish cinema in the United States remained on the cultural agenda of Turkish Cultural Foundation in 2011. The Foundation was the main sponsor of the 10th Boston Turkish Film & Music Festival, organized by the Turkish American Cultural Society of New England and the 11th New York Turkish Film Festival, organized by Moon and Stars Project. The TCF grant to Moon and Stars Project in New York, like those in past years, supported the expansion of Turkish cinema to other cities, including the Milwaukee Turkish Film Festival and the 7th Madison Turkish Film Festival. TCF's grant to Moon and Stars Project also supported several cultural programs by the Moon and Stars Project, including a music workshop and concert by a music group, Kardes Turkuler. TCF sponsored Lerna Babikyan, Turkish contemporary dancer and performer, to participate in the SonneBlauma Danscz Theatre's Bi-Annual Dance and Physical Theater Festival in Santa Barbara. A TCF grant to the University of Pennsylvania Museum of Archeology and Anthropology supported an exhibition by Turkish photographer Ahmet Ertug, titled "Vaults of Heaven: Visions of Byzantium." The exhibition consisted of 13 color photographs by Ertug which document the interiors of three churches—the Karanlik Kilise (Dark Church), the New Church of Tokali (Buckle Church), and the Meryem Ana Kilisesi (Church of the Mother of God) in Turkey-all more than 1,000 years old and listed on the UNESCO World Heritage Sites. The exhibition remained open from October 15, 2011 through February 12, 2012 and was visited by over 76,000 visitors. The exhibition afforded a unique opportunity for Penn University students who are studying Eastern Medieval Architecture to examine the working relationships of artists and masons, and to compare the monuments of Cappadocia to those of other regions of the eastern Mediterranean. The photographs also will assist students in researching Byzantine monumental painting and its architectural setting. In addition to university students, the Penn Museum's Community Engagement Department also offered guided tours of the exhibition for middle- and high school-aged school groups. TCF became the major sponsor of the de Young Fine Arts Museums of San Francisco exhibition on "The Art of the Anatolian Kilim: Higlights from the McCoy Jones Collection." The exhibition, on view from September 10, 2011 through June 10, 2012 provided a rare opportunity to view two dozen of the finest examples of pre-19th century Anatolian flat-woven kilims gifted to the Museum 20 years ago. Presented in the textile arts gallery at the de Young the kilims include a variety of design types, regional styles, as well as superb examples of artistic and visual prowess. The kilims in the Fine Arts Museums of San Francisco's permanent collection are considered the most important group of Anatolian kilims outside Turkey. "The first presentation of works from this collection in 1990 signified a breakthrough in the appreciation of this weaving tradition. Not only was it the first time a Western museum had mounted a major exhibition dedicated to Anatolian kilims, but it was also the first time that kilims of this age, rarity and fragility were seen by the public; subsequently, the Anatolian kilim entered into the pantheon of the textile arts. With more than 20 years passing since this important collection made its public debut, many visitors, scholars and textile enthusiasts will be able to enjoy and study them for the first time." TCF became the major sponsor of joint exhibition of Turkish and American artists, titled "Los Angeles Istanbul Connection" at the 18th Street Arts Center in Santa Monica, CA. The exhibition took place from May 7-30, 2011 and featured work by five Turkish and five Los Angeles artists. The exhibition included paintings, sculptures, photography, video and installations by Los Angeles based artists Carol Es, Gul Cagin, Marcie Kaufman, Arzu Arda Kosar, and Blair Townsend along with Istanbul based artists Insel Inal, Saliha Kasap, Elif Oner, Ozan Oganer and Alper Sen. It was a curatorial collaboration between Saliha Kasap, Coordinator of Sanat Limani in Istanbul, Turkey, and Arzu Arda Kosar, a resident artist at the 18th Street Arts Center. A TCF grant to Floating World Projects, a US arts organization that aims to develop and sustain cross-cultural exchange through artistic collaborations, enabled the opening of an exhibition featuring three American artists and three Turkish artists. The collaboration grew out of a partnership between the Massachusetts College of Art and Design in Boston and Mimar Sinan Fine Arts University in Istanbul. Bringing together Ayse Balyemez, Hande Buyukatli and Gulfidan Ozmen with Oben Abright, James McLeod and Leo Tecosky, the collaboration resulted in the creation of graphic collages that allude to architecture, poetry and history. The resulting exhibition titled Invisible Cities was on display at the Society of Arts and Crafts in Boston from August 6-October 22, 2012. A TCF grant to Gulin Algul link to Asanni, a Turkish glass artist, enabled her to to apply Ebru techniques on blown glass. The new works which she created at the Glass Furnace Foundation in Istanbul, also a TCF grantee, were exhibited in a solo exhibition titled "Ebru at 1200 Degrees" at the Istanbul Maritime Museum. The artist has been working on the technique since 2006 and she applies the basics of Ebru - Water Marbling art on glassblowing at the point where glass on the pipe, at its 1200 degrees, meets the liquidity of water. TCF provided a major grant to the Turkish Women's League of America in New York to celebrate International Women's Day with a premier fashion show by Turkish couture designer Mehmet Koymen. It showcased the designer's extravagant women's collection inspired by the splendor of the Ottoman Empire and portrayed the evolution of Turkish women's clothing. All proceeds from the event benefitted the Ataturk School in New York, the oldest Turkish American school in the country. A major TCF grant brought theater, music and fun to students in a series of free performances at 15 New York area public schools of "Flying Man," an original children's music play produced by the Turkish American Art Society of New York. The play was also performed for Turkish American children three times at the Lighthouse International Theater in New York. 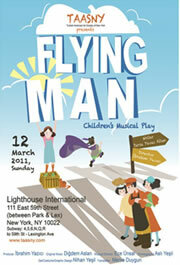 Altogether, the play reached over 12,000 school children. For the fifth year, Turkish Cultural Foundation participated in the Sculpture Objects and Functional Art – SOFA Fairs in New York and Chicago by sponsoring a booth for established and aspiring Turkish modern artists to present their work to international audiences. TCF booth at SOFA Chicago featured Turkish artists Malik Bulut, Meral Deger, Nejat Kavvas and Serdar Seremet, while SOFA New York introduced Turkish artists Yildanur Ketenci, Semra Ecer, Ayhan Tomak and Ebru Dosekci to sophisticated audiences. "It was very fruitful to exhibit my pieces at SOFA Chicago. Many people came from the art world which enabled me to make many useful connections. I am very grateful to the TCF for giving me the opportunty to introduce my art works to a wider audience. This event has added another layer of depth to my artistry." "Sofa is one of the best glass and decorational objects fair worldwide. It was a very unique experience for me, as this was my first international opportunity to show my works. Thank you very much for asking giving me chance to introduce our works in US." A TCF grant to the University of Pennsylvania Museum of Archeology and Anthropology supported the visit of Prema Desmukh, Penn Museum Educator and Manager of Outreach, to Gordion, Ankara and Istanbul to broaden her knowledge of the history, culture and art of Gordion firsthand. Penn Museum has a strong connection with Turkey and a long-standing interest in the Gordion excavation. Previously, TCF provided UPENN with funding for an exhibition on Gordion, titled "His Golden Touch: The Gordion Drawings of Piet de Jong." The TCF Natural Dyes Research and Development Laboratory - DATU was the main sponsor of the 5th General Edition of the Intensive Schools on Conservation Science, which was held at Marmara University in Istanbul on July 19-29, 2011. The Schools are part of the EU Lifelong Learning Program and deal with the physiochemical aspects of cultural heritage preservation and how natural and material sciences are applied in the safeguarding and authentication of tangible works of art. Dr. Recep Karadag, Head of the DATU, chaired the event. Over 120 participants from 12 countries attended the School and also had a chance to visit DATU. TCF sponsored a workshop on conservation and restoration with the participation of two Polish conservation experts at the Istanbul Military Museum on September 18-25, 2011. Under the guidance of Dr. Nurhan Atasoy, TCF Senior Scholar in Residence, Jerzy A. Holc, Head of the Textile Conservation Department at the Wawel Royal Castle and Dr. Maria Cybulska at the Department of Textile Architecture at the Technical University of Lodz shared their knowledge and best practices on the methods of analysis and reconstruction of historical and archeological textiles for documentation, conservation and display. A TCF grant supported Suzan Bayraktaroglu, Art Historian at the Turkish General Directorate for Foundations, to present a paper on "Two Ottoman Carpets in the Vakiflar Administration of Cyprus" at the International Conference on Oriental Carpets-ICOC XII in Stockholm on June 16-19, 2011. TCF funding also supported the participation of Ms. Bayraktaroglu at the 14th International Congress on Turkish Art in Paris on September 19-22 where she presented on "Collections of Tradition and Faith." Sibel Alpaslan Arca, Curator of the Sultans' Costumes collection at the Topkapı Palace, also received a TCF grant to present her paper on "Textile Findings in the Tombs of Princes of Hagia Sophia Museum" at the same Congress. "The intensive workshop given by Dr.Holc and Dr.Cybulska at the Istanbul Military Museum was an invaluable opportunity for scholarly exchange on conservation and restoration. In addition to the theoretical content, the two scholars worked hands-on with the Museum's own conservators and shared a wealth of visual material. The workshop will surely contribute to the preservation and conservation efforts at the Museum." "The mission of my trip to Turkey was to learn Gordion's history first-hand, meet local artists, and create new educational programs for the Gordion Museum, as well as for the Penn Museum. I also wanted to establish connections with local artists to develop a new artist-in-residence program at the Penn Museum. My visits to Gordion, Ankara and Istanbul were stimulating and enriching. No words will do justice in describing my experience - it is like witnessing the fireworks in the sky-you just have to experience the wonders of it"
TCF continued its activities in the area of public education through its nationwide educational program with the World Affairs Councils of America, Turkish culture and art lectures, as well as it comprehensive educational resources available on the worldwide web. In 2011, TCF also was proud announce the release of "Broad Horizons," a documentary film that captures the journey of a group of American teachers on the TCF Study Tour in Turkey. The TCF Lecture Series in Turkish Culture and Art takes place in the United States and at the TCF Istanbul office. In 2011, the TCF lecture series featured 26 lectures on various topics related to Turkish culture that were attended by over 1,100 participants. The U.S. leg of the TCF Lecture Series in Turkish Culture and Art in 2011 featured Dr. Nurhan Atasoy, renowned Turkish art historian and TCF Senior Scholar in Residence. A Garden for the Sultan, Gardens and Flowers in the Ottoman Culture, at the Turkish Embassy in Washington, DC, with Anatolian Artisans, March 10, 2011. Ottoman Gardens and The Western World, at the Kelsey Museum of Archaeology, Ann Arbor, March 14, 2011. Ottoman Gardens, at Case Western Reserve University, Cleveland, March 17, 2011. Life in Istanbul in 1582 through the Miniature Paintings of Surname of Murad III, at the Museum of Fine Arts, Houston, March 19, 2011. Mobile Ottoman Palaces, Imperial Tents, at the Metropolitan Museum of Art - The Department of Islamic Art, New York, March 22, 2011. Ottoman Imperial Tents, at First Parish, Boston, October 21, 2011. Costumes of the Ottoman Sultans, at Minasian's Oriental Rug Company, Chicago, October 28, 2011. Costumes of the Ottoman Sultans, at the Textile Museum, Washington DC, October 30, 2011. The TCF Istanbul Lecture Series takes place at the TCF Istanbul office and features Turkish and English lectures. The English lectures aim to introduce the rich cultural and artistic heritage of Turkey to members of the consular corps, foreign university faculty and the expatriate community at large residing in Istanbul. In 2011, the TCF Istanbul office hosted 18 lectures and 460 participants. The TCF Istanbul lectures are also made available online from the TCF website. In 2011, the TCF lecture videos were viewed nearly 15,000 times by people from all across the world. In addition to the TCF Lecture Series, TCF helps to advance knowledge and scholarship on Turkish culture and art through the many presentations, papers and lectures by its senior scholars. Dr. Nurhan Atasoy, gave several presentations on Turkish culture and art to American visitors, particularly students, who visit the TCF Istanbul offices on trips sponsored by the Turkish Cultural Foundation, the Turkish Coalition of America or third organizations. Dr. Atasoy lectured to students of the Community College of Philadelphia, students and staff writers of the Yale Globalist, a student magazine of Yale University, Washtenaw Community College in Ann Arbor, Michigan, and students from Woodbury University. In September 2011, Dr. Atasoy gave a lecture to participants on the "Friends of the Arts of the Islamic World Turkey Trip" organized by the Houston Museum of Fine Arts. Natural Dying from the Past to Present, at Abant İzzet Baysal University in Bolu, Turkey. The Analysis of 16th Century Ottoman Silk Brocades and their Reproductions, at the International Symposium and Exhibition on Natural Dyes in La Rochelle, France. Comparison of Dye Analysis of Historical Textiles with their new reproductions, at the Intensive Schools on Conservation Science in Istanbul. 16th Century Ottoman Brocades in the Topkapı Palace and their Reproductions, at the International Symposium of Silk Worm Breeding and Woven Silk in Alanya, Turkey. Project of Restoration and Conservation of Sultan Costumes in Topkapı Palace Museum, at the 5th International Congress on Science and Technology for the Safeguard of Cultural Heritage in the Mediterranean Basin, in Istanbul. The Origin of the Endless Knot Motif and its Use in Turkish and Islamic Art, at the 7th Sartirana Textile Art Show in Italy. Weavings at the Crossroads of East and West: Silk Catma Yastiks, at the International Symposium of Silk Worm Breeding and Woven Silk in Alanya, Turkey. The Origin of the Chintamani Motif and its Use in Ottoman Art, at Marmara University Faculty of Art History in Istanbul. Dr. Sumiyo Okumura, also represented TCF at the 14th International Congress on Turkish Art in Paris and presented various TCF cultural preservation and education projects. TCF continued to sponsor and co-organize "Spotlight on Turkey" a widely acclaimed educational program on Turkey in cooperation with the World Affairs Councils of America (WACA). In its fifth year, this TCF-WACA collaboration created a nationwide educational outreach program on Turkey, focusing on teacher education, teacher study tours to Turkey and cultural programs for the general public. In 2011, the program was undertaken by TCF and WACA with 17 local World Affairs Councils in these cities and regions: Las Vegas, Peoria (Illinois), Seattle, South Dakota, Dayton (Ohio), Houston, Mid Hudson Valley (New York), Montana, Reading (Pennsylvania), New Hampshire, Hawaii, Inland Southern California, Sante Fe, Maine, Harrisburg, Boston and Washington, DC. TCF and WACA also incorporated the Birmingham International Center (BIC) into the same program, as BIC was organizing a "Year of Turkey" in Alabama in 2011. As part of the program, TCF sponsored and helped organize 18 Teacher Workshops on Turkey in these regions. A total of 374 teachers attended these workshops in 2011. The estimated student impact of the workshops nationwide was over 70,000. Since 2007, nearly 2,300 American teachers have participated in the TCF-WACA Teacher Workshops on Turkey, organized by WACA chapters across the United States. The second tier of this program is the TCF Teacher Study Tours to Turkey (please see detailed information below). The final tier of the TCF Educational Program with the World Affairs community features public educational programs entitled Portrait of Turkey which are founded by TCF, designed and organized by the participating councils with help from the teachers who return from Turkey. In 2011, the participating councils organized 35 Portrait of Turkey events, attended by nearly 4,700 people. The Montana World Affairs Council set up a Turkey display at the airport, reaching nearly 47,000 bypassers. "Hats off to the Turkish Cultural Foundation! I get goose bumps every August, when the just-returned Turkey travelers walk into my house and recount their adventures in Istanbul and all across Turkey. They are just smiling from ear to ear and instantly embrace me and Seattle educators who have participated in past trips (aka "the Puget Sound Alum"). "You didn't exaggerate that this would be a life-changing experience!" they exclaim and then share (for hours!) their amazing experiences being on the ground in Turkey. No one wants to miss this special reunion that takes place every summer. Modern Turkey with all of its richness and complexities-as well as Turkey's centuries old history and cultural traditions-are often unknown to Americans. This specially designed 3-part program topped off by a first class trip brings teachers face to face with history brought alive by knowledgeable historians, cultural experts, archeologists, and Turkish friends on both sides of the world from the Mediterranean to Washington State. Educators return enriched and empowered to share their new lessons with their students and colleagues. Cheers to TCF! And Seattle is especially proud to have two Broad Horizon movie stars in our midst - Meera and Jennifer(as well as other past alum) continue to spread the word about this unique and dynamic country and culture." "Since 1954, the World Affairs Council of New Hampshire has had the motto of "Bringing the World to New Hampshire." But it wasn't until we joined the Spotlight on Turkey program - an education partnership between the Turkish Cultural Foundation and the World Affairs Councils of America - three years ago that we began to create truly global citizens. The opportunity for our teachers, many of whom work in rural areas, to travel to Turkey is a once-in-a-lifetime opportunity that transforms teachers, breaks down stereotypes and creates cultural understanding . It's an experience that no book or seminar could ever replicate. As one teacher put it, "You gave me a gift that I don't believe I can ever pay back, but every time I share my experiences with my students, a smile crosses my face"-it's a perspective that's shared by everyone the program touches around our state." "Our partnership with the World Affairs Councils of America(WACA) and the Turkish Cultural Foundation has added a new and exciting dimension to our programs. "Spotlight on Turkey" has enabled our council to establish significant, new relationships with educational institutions and teachers in our community. TFC has facilitated life changing experiences for our teachers which they are sharing with students, faculty, and families throughout communities in Reading and Berks County. We are grateful to have been chosen to participate in this important program." Carl R. Sabold, World Affairs Council of Greater Reading, Pa. In 2010, TCF funded the production of a documentary that captures the experience of teachers on the TCF Teacher Study Tour. Directed and produced by Orhan Ayasli, a young Turkish American film maker, the film, Broad Horizons, is an entertaining and informative documentary that follows the journey of teachers on the 2010 TCF Teacher Study tour. The film captures their aspirations as they prepare to go on the trip, travels with them as they go beyond their textbooks and get a first-hand look at Turkey and the impact that exploring a foreign culture can have on the minds of educators and their students. It also showcases the ancient civilizations of Anatolia, modern Turkey and its people, while following a human story of growth. Released in 2011, the film has been used as an educational resource by World Affairs Councils during their teacher workshops on Turkey, public presentations, as well as by participating teachers in the classroom, bringing the experiences and insights of the TCF study tour teachers to diverse audiences across the United States. Many programs undertaken by TCF in 2011 were widedly covered in the media. TCF received over 140 mentions in mainstream media outlets in the United States and in Turkey last year, especially in the Turkish printed media. A special feature on the work of the Turkish Cultural Foundatin was published in the June 2011 issue of Turkkey Magazine, titled "Turkish Cultural Foundation Promotes Turkey to the World". TCF was also featured in an article titled "Silks for a Sultan" published in the Spring issue of Hali Magazine. TCF provided a grant to underwrite programming by Turkish American Hour (broadcast in English and Turkish) on Fairfax (Virginia) Public Access Television, which is produced by volunteer Turkish American production teams and staff and features as information on Turkey, Turkish culture and art, business and scientific interests. Turkish Cultural Foundation continues to expand and improve its award-winning websites. Our efforts to promote Turkish culture worldwide continued with enriching the content of the TCF portals on Turkish culture, music and cuisine. In 2011, a new website was launched for the TCF Culinary Arts Center – YESAM. In 2011, the TCF portals received nearly 2,661,000 visitors from 199 countries and regions. The Turkish Culture Portal highlights some of the distinct characteristics and qualities of Turkish culture and its contributions to human work and thought. The website is intended as a casual and entertaining walk through topics related to Turkey's rich culture. Its content will always be a work in progress, given the depth and the multiple dimensions of the subject. 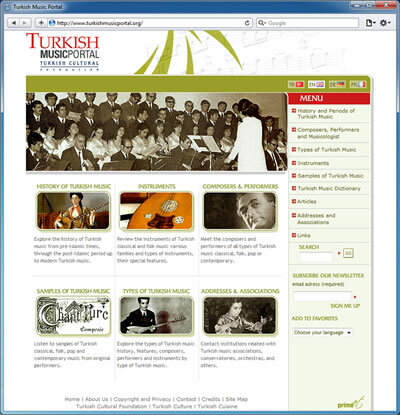 The Turkish Music Portal is the first public educational website dedicated to Turkish music and was inaugurated in January 2006. The Turkish Music Portal explores the history, reviews the instruments of Turkish classical and folk music, and introduces the composers and performers of all types of Turkish music. It is available in Turkish, English, French and German. Inaugurated in 2007 and available in English and Turkish, the Turkish Cuisine Portal is a rich resource featuring the many different aspects of Turkey's diverse culinary culture, including history, sociology, beliefs, ingredients, techniques and recipes. In 2011, TCF inaugurated the portal for its newly established Culinary Arts Center – YESAM at ARMAGGAN Nuruosmaniye in Istanbul. The website features information on YESAM events and on Turkish cuisine. The TCF Natural Dyes Research and Development Laboratory – DATU - Portal, in addition to providing information on the institutional work of this new TCF project, makes a wealth of scientific knowledge on natural dyes available to the public. 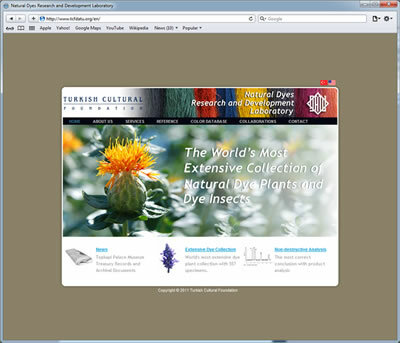 The Portal also features an expansive database and images of plants, insects, and other material used in the generation of natural dyes. Since its first cultural tour in 2006, Turkish Cultural Foundation has hosted 187 influential Americans on nine cultural tours to Turkey. The purpose of the TCF cultural tours is to introduce Turkey to influential Americans from different segments of society, with a view to build people-to-people cultural bridges between Turkey and the United States. The TCF 2011 Fall Cultural Tour was held on September 12-28 and hosted 24 American guests from different walks of life, ranging from museum directors, academia, art, politics, and civil society, to the media. The 17-day tour visited Istanbul, Edirne, Canakkale, Gelibolu (Gallipoli), Truva (Troy), Bursa, Iznik, Beypazari, Ankara, Amasya, Tokat, Sivas, Kayseri, Cappadocia and Konya, providing participants with an in-depth exposure to the history, art, culture, architecture, food and music, as well as the people of Turkey. "The program was very carefully planned and beautifully orchestrated. This was an outstanding experience in so many ways and I have traveled extensively. I hope to return to Turkey and welcome Turks to the National Gallery, as a small measure of reciprocity. Many, many thanks to TCF in this effort to strengthen ties between Americans and the Turkish people. I am honored to have been a part of this extraordinary tour." "Overall the tour was very well designed and executed. It was highly educational and we gained a broad perspective on history, peoples, and cultures of Turkey and the region. TCF provided an excellent balance of information and experience. This was an extraordinary, life-altering experience and we deeply appreciate your generosity and thoughtfulness." "The Turkish Cultural Foundation provides an unprecedented experience: rich in culture, history, politics, infrastructure, food, wine, and people. Every person should explore this beautiful country with such depth. It far exceeded all pre-conceived notions and expectations. We will return and bring many with us!" For the fifth year, as part of it's partnership program with the World Affairs Councils of America, TCF organized and sponsored two Teachers Study Tours in the summer of 2011 and introduced 57 American educators to Turkey. Since the program's inception in 2007, TCF hosted 348 American educators on these educational tours in Turkey. "The Summer 2011 Teacher Study Tour provided an unequaled, valuable, educational experience in Turkish history, geography and culture. If not for the work of the Turkish Cultural Foundation, I would never have had this unique opportunity. The itinerary provided both the depth and breadth to more fully understand the creation of the modern Turkish state. I am so grateful to have been selected for this tour and will do my best to disseminate the information I have learned to others in my community. I highly recommend this study tour to any educator who is interested in studying Turkish history and culture." "This trip is a gift to teachers. It was a wonderful blend of information about the history, culture, food, art, and customs of the Turkish people. I know this will enhance my teaching as I was taken on a journey through history from Neolithic times to modern Turkey. This trip also allowed me to share this exciting information with other teachers on a well-planned and pleasant trip with beautiful hotels and great food. Thank you Turkish Cultural Foundation for valuing me as a teacher. I can't wait to bring Turkey back to my classroom." "What a fantastic experience that I can hardly believe is over. It seems like just yesterday that I arrived for a wonderful fourteen-day study of Turkey. My splendid visit has been more than I could have expected. Visiting historical sites, listening to wonderful music, eating in quaint restaurants, and meeting people allowed me to grow both professionally and personally. Many thanks to the Turkish Cultural Foundation for making this trip a possibility." "Since I became a student of history many years ago, I have always wanted to visit Turkey. Never in my wildest dreams, however, could I have imagined seeing this beautiful country in the manner that the Turkish Cultural Foundation has provided. This study tour has been first class in every way. Thank you TCF for making my dream come true!" Turkish Cultural Foundation continued to provide grants to American schools and universities for faculty-led study tours to Turkey. In 2011, the Washtenaw Community College in Ann Arbor, MI, was awarded a grant for a photography course and study tour in Turkey. The tour was led by Terry Abrams, a professional photographer and faculty member of the College. The course took 20 photography students to Turkey on May 19-31. Some of the photographs, taken by the students and Terry Abrams in Turkey, are now gracing the new TCF Washington offices. TCF also provided a second-year grant to Woodbury University to support a study tour of 12 design students to Turkey on a 25-day itinirary in June 2011 that highlighted textile heritage in Turkey. Spearheading and supporting projects to preserve the cultural heritage of Turkey is one of the pillars of Turkish Cultural Foundation. Progress was made on several existing TCF programs in this area and new projects came to fruition in 2011. TCF inaugurated the Culinary Arts Center in 2011 on the 4th floor of the ARMAGGAN store in Nuruosmaniye, Istanbul. The mission of YESAM (Acronym for its Turkish name- Yemek Sanatları Merkezi) is to research, document and revive the tangible and intangible culinary heritage and traditions created by the Turkish people over the centuries on the expansive geographies they inhabited. YESAM will develop educational methods to promote Turkish culinary culture in Turkey and across the world with a view to preserve this heritage for future generations. The YESAM facilities incorporate three conference rooms, a show kitchen and reference library on cuisine. The show kitchen is designed for visitors to observe YESAM cooks preparing traditional Turkish dishes and desserts and is open to individual visits, as well as culinary tours. A lecture series on Turkish cuisine and culinary culture will begin in 2012. Established by TCF in 2010 in Istanbul, DATU has quickly developed into one of the world's most advanced laboratories on natural dyes and is making significant contributions to preservation and documentation of Turkey's cultural heritage, particularly textile heritage. The mission of DATU is to help preserve and promote Turkey's textile heritage by creating a scientific inventory of natural dyes, which have been used for centuries to color Turkish textiles. Since its establishment, DATU has provided free analytical services to leading museums in Turkey and elsewhere, including the Topkapi Palace Museum, Hagia Sophia Museum, Museum of Turkish and Islamic Art, Harbiye Military Museum, Konya Ethnographical Museum, Konya Mevlana Museum, Sivas Atatürk and Ethnographical Museum, Hirka-i Serif Mosque, Naval Museum of Istanbul, Istanbul Calligraphy Museum and the National History Museum of Azerbaijan. A special project has begun in 2011 with the Topkapi Palace Mueum to analyze the Imperial Costumes in this Museum using micro analytical techniques in order to ascertain the best methods for restoration and conservation efforts of these valuable textiles. "We have started to work with TCF-DATU to use micro-analytical methods in the restoration and conservation of the Imperial Costumes in the Topkapi Palace collection. This project enables us to use technical analysis as an addition to comparative and art-history or knowledge-based dating method for the artifacts. In the course of this project and based on the technical reports on garment color, dyes, weaving techniques and motifs, we have discovered imporant data that will lead to new interpretations. Additionally, the color analysis provided by DATU provides important data that will enable the compiling of dye recipes to be used for yarns and fabrics needed in correct restoration and conservation of these artifacts. The value of the world-class analytical, material and scientific support we receive from TCF in this project is unmeasurable. We are deeply grateful to TCF. Sibel Alpaslan Arca, Imperial Costumes Department, Topkapi Palace Museum Supervisor. We have benefitted from the services of TCF-DATU in the analysis of our textiles, using non-destructive micro-analysis methods. We used the dye analysis report provided by DATU in conjunction with comparative dating techniques and adjusted the dates of the Sehzade (Prince) kaftans and sarcophagus covers in our, as well as similar samples in the Topkapi Palace collection. This proved the deficiency of relying on inventory based information with regard to dating costumes and textiles in the Palace collection. We thank TCF-DATU for providing the analytical services to the Ayasofya Museum that helped us to correctly date the textiles in the Sehzadeler Turbesi (Princes' Tomb) to the last quarter of the 16th century"
"The dye analysis and natural dye applications provided by DATU has enhanced the scientific knowledge base of our restoration and conservation efforts for textiles in the Military Museum's collection"
Work continued on the "Who's Who" online database featuring living Turkish artists, artisans and expert. The goal of the project is to promote Turkish artists worldwide, while making it easy for people of common cultural interests to find each other and collaborate on projects that celebrate Turkish cultural heritage. The database is organized under various categories such as Visual Arts, Turkish Traditional Arts, Applied Arts, Literature, Music, Theater, Movie, Documentary and TV, Dance and Ballet, Academics, Fashion Design, and Conservation. Accessible from the TCF Turkish Culture Portal, the database reached 50 categories and more than 2,100 artist entries by the end of 2011. In 2011, Turkish Cultural Foundation continued providing grants to one of the oldest musical societies in Istanbul, the Eyup Music Foundation (Eyup Musiki Vakfı). TCF's support helps provide music education to children who are unable to pursue a formal music education and to stage two concerts for the Foundation's Senior and Junior choirs. In 2011, TCF grants underwrote a concert on January 29 that was attended by 550 people, and featured classic songs from old Turkish movies under the theme "Songs of Yesilcam." The second concert, "Three Istanbulite Composers: Osman Nihat Akin, Selahattin Icli and Avni Anil", paid tribute to these renowned composers of Turkish classical music and was attended by more than 500 people. The Turkish Cultural Foundation continued its support for a multi-year, multi-disciplinary research and documentation project in the field of Turkish Music. The project's goal is to create an online Turkish Music Dictionary and to conduct associated field studies on Turkish Folk Music Terminology for the publication of the first Turkish Folk Music Dictionary. It is led by Turkish ethnomusicologist Dr. Melih Duygulu, who previously coordinated the Turkish Music Portal project by TCF. The first phase of the project, the Turkish Music Dictionary, was completed and made available online from the TCF Turkish Music Portal in November 2011. The Turkish Music Dictionary is the broadest dictionary available on the subject and includes 2,454 entries in its current version. In order to define the terms, concepts and expressions in Turkish musical terminology, the project team examined 20,000 works on Turkish classical music and 7,000 works on Turkish folk music, the most notable books and dictionaries on Turkish music theory, general dictionaries and encyclopedias, as well as relevant articles. New terms were also uncovered through personal conversations with experts on the subject. In addition to including terms that are used today, the dictionary includes terms and concepts no longer in use, as to assist scholars and students in the field of musicological history. In 2011, substantial progress has also been made in the companion field research to compile multi-disciplinary data related to the Turkish Folk Music Terminology and culture. Led by Dr.Duygulu, the project team conducted studies in the cities of Sivas, Edirne, Çorum, Ordu, Giresun, Nevşehir, Çankırı, Samsun, Ankara, Kırıkkale, Eskişehir, Kırklareli, Mersin , Istanbul and environs. The team collected new musical terms, bard chants (aşık havaları), lyrics/poetic sayings, henna songs, lullabies, laments, religious/mystical music samples and singing techniques through site visits, observations and interviews with performers, and others.